While the United States celebrated her 238th birthday last Friday, many Americans are unaware of another significant anniversary taking place this week. On July 8, 1741, America heard what is often hailed as the greatest sermon preached on her soil from a man who is often hailed as the greatest theologian and thinker to minister on her soil. Our public assemblies were then beautiful, the congregation was then alive in God’s service, everyone earnestly intent on the public worship, every hearer eager to drink in the words of the minister as they came from his mouth; the assembly in general were, from time to time in tears while the Word was preached; some weeping with sorrow and distress, others with joy and love, others with pity and concern for the souls of their neighbors. From 1739 through 1742, New England and other colonies experienced what historians now refer to as The Great Awakening. This was largely accomplished through the itinerant preaching of George Whitefield and the theological ministry of Jonathan Edwards. While Whitefield is known as the preacher of the Awakening, Edwards is often revered as the theologian of the Awakening. Nevertheless, Edwards was no less the preacher, as a perusal of any of his sermons would prove. A most awakening sermon. … Before the sermon was done, there was a great moaning and crying out through the whole house. ‘What shall I do to be saved? Oh I am going to Hell! 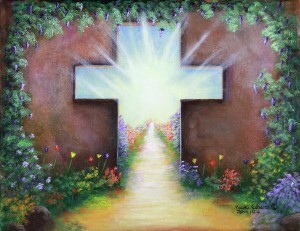 Oh, what shall I do for Christ?’ … The shrieks and cries were piercing and amazing. … Amazing and astonishing the power of God was seen. Several souls were wrought upon that night, and oh the cheerfulness and pleasantness of their countenances that received comfort! And that it would compel us to urgently and unashamedly take this Gospel to the lost, knowing that without the Good News of salvation there are people in our lives who will endure this misery for eternity. We find it easy to tread on and crush a worm that we see crawling on the earth; so ’tis easy for us to cut or singe a slender thread that anything hangs by; thus easy is it for God when he pleases to cast his enemies down to hell. What are we, that we should think to stand before him, at whose rebuke the earth trembles, and before whom the rocks are thrown down? Sin is the ruin and misery of the soul; it is destructive in its nature; and if God should leave it without restraint, there would need nothing else to make the soul perfectly miserable. This that you have heard is the case of every one of you that are out of Christ. That world of misery, that lake of burning brimstone is extended abroad under you. There is the dreadful pit of the glowing flames of the wrath of God; there is hell’s wide gaping mouth open; and you have nothing to stand upon, nor anything to take hold of: there is nothing between you and hell but the air; ’tis only the power and mere pleasure of God that holds you up. The bow of God’s wrath is bent, and the arrow made ready on the string, and justice bends the arrow at your heart, and strains the bow, and it is nothing but the mere pleasure of God, and that of an angry God, without any promise or obligation at all, that keeps the arrow one moment form being made drunk with your blood. 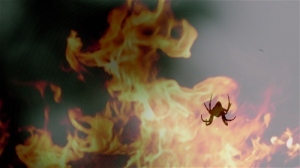 The God that holds you over the pit of hell, much as one holds a spider, or some loathsome insect, over the fire, abhors you, and is dreadfully provoked; his wrath towards you burns like fire; he looks upon you as worthy of nothing else, but to be cast into the fire; he is of purer eyes than to bear to have you in his sight; you are then thousand times so abominable in his eyes as the most hateful venomous serpent is in ours. You have offended him infinitely more than ever a stubborn rebel did his prince: and yet ’tis nothing but his hand that holds you from falling into the fire every moment: ’tis to be ascribed to nothing else, that you did not go to hell the last night; that you was suffered to awake again in this world, after you closed your eyes to sleep: and there is no other reason to be given why you have not dropped into hell since you arose in the morning, but that God’s hand has held you up: there is no other reason to be given why you han’t gone to hell since you have sat here in the house of God, provoking his pure eyes by your sinful wicked manner of attending his solemn worship: yea, there is nothing else that is to be given as a reason why you don’t this very moment drop down into hell. O sinner! Consider the fearful danger you are in. Now God stands ready to pity you; this is a day of mercy; you may cry now with some encouragement of obtaining mercy: but when once the day of mercy is past, your most lamentable and dolorous cries and shrieks will be in vain; you will be wholly lost and thrown away of God as to any regard to your welfare; … for you will be a vessel of wrath fitted to destruction; and there will be no other use of this vessel but only to be filled full of wrath: God will be so far form pitying you when you cry to him, that ’tis said he will only laugh and mock, Prov. 1:25–32 . It would be dreadful to suffer this fierceness and wrath of almighty God one moment; but you must suffer it to all eternity; there will be no end to this exquisite horrible misery: when you look forward, you shall see a long forever, a boundless duration before you, which will swallow up your thoughts, and amaze your soul; and you will absolutely despair of ever having any deliverance, any end, any mitigation, any rest at all; you will know certainly that you must wear out long ages, millions of millions of ages, in wrestling and conflicting with this almighty merciless vengeance; and then when you have so done, when so many ages have actually been spent by you in this manner, you will know that all is but a point to what remains. ’Tis doubtless the case of some that heretofore you have seen and known, that never deserved hell more than you, and that heretofore appeared as likely to have been now alive as you: their case is past all hope; they are crying in extreme misery and perfect despair; but here you are in the land of the living, and in the house of God, and have an opportunity to obtain salvation. What would not those poor damned, hopeless souls give for one day’s such opportunity as you now enjoy! And now you have an extraordinary opportunity, a day wherein Christ has flung the door of mercy wide open, and stands in the door calling and crying with a loud voice to poor sinners. … Let everyone that is yet out of Christ, and hanging over the pit of hell, whether they be old men and women, or middle aged, or young people, or little children, now hearken to the loud calls of God’s Word and providence. Mike originally published this post on July 8, 2011. George Marsden, Jonathan Edwards: A Life (New Haven, CT: Yale University Press, 2003), 159. 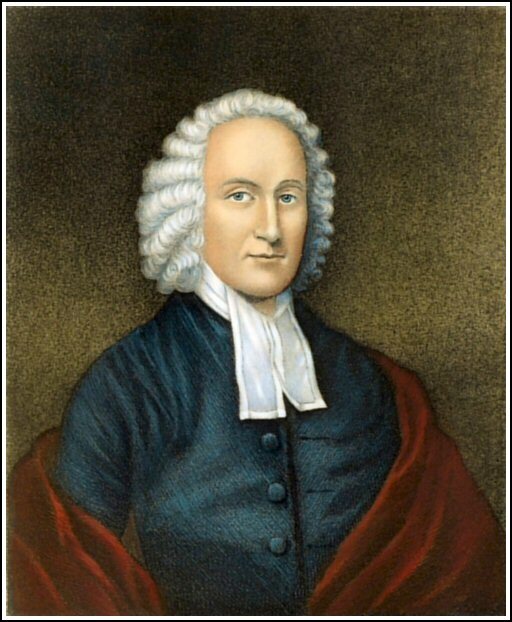 Jonathan Edwards, “A Faithful Narrative of the Surprising Work of God in the Conversion of Many Hundred Souls in Northampton,” in The Works of Jonathan Edwards (Peabody, MA: Hendrickson, 2005), 1:348. Stephen Nichols, “Jonathan Edwards: His Life and Legacy,” in A God Entranced Vision of All Things, eds. John Piper and Justin Taylor (Wheaton, IL: Crossway Books, 2004), 42. As quoted in Iain Murray, Jonathan Edwards: A New Biography (Edinburgh: Banner of Truth, 1987), 169.